Garment Bag. 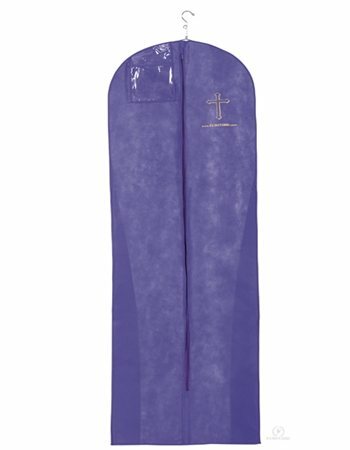 Non-Woven Fabric Garment Bag with Gold Cross. **As of 03/13 both colors are out of stock. Non Woven Fabric Garment Bag with Clear ID Pouch,Imprinted with Gold Cross. Size: One Size= 21"X72", 3" deep.